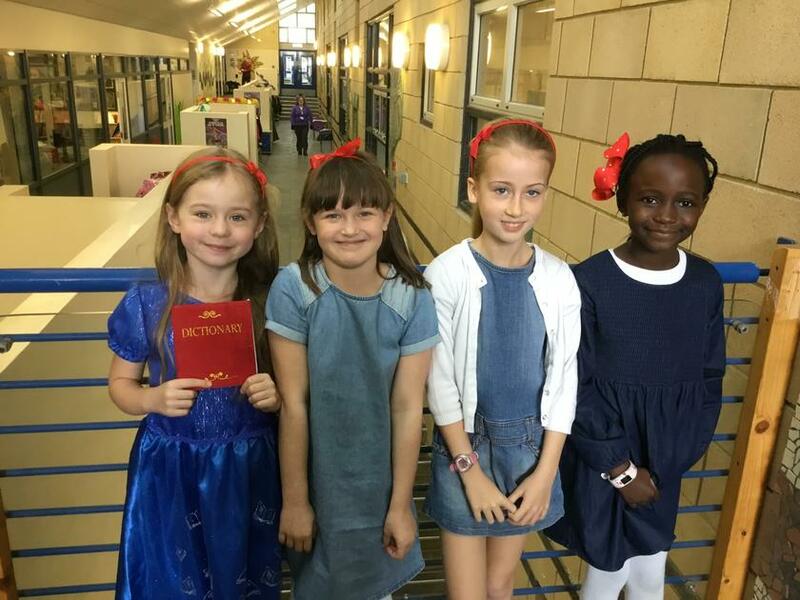 This week in Dragonflies, we been finished writing our fairytale stories based on Cinderella. We had to make sure we included all of the success criteria including fronted adverbials, similes, expanded noun phrases and paragraphs. 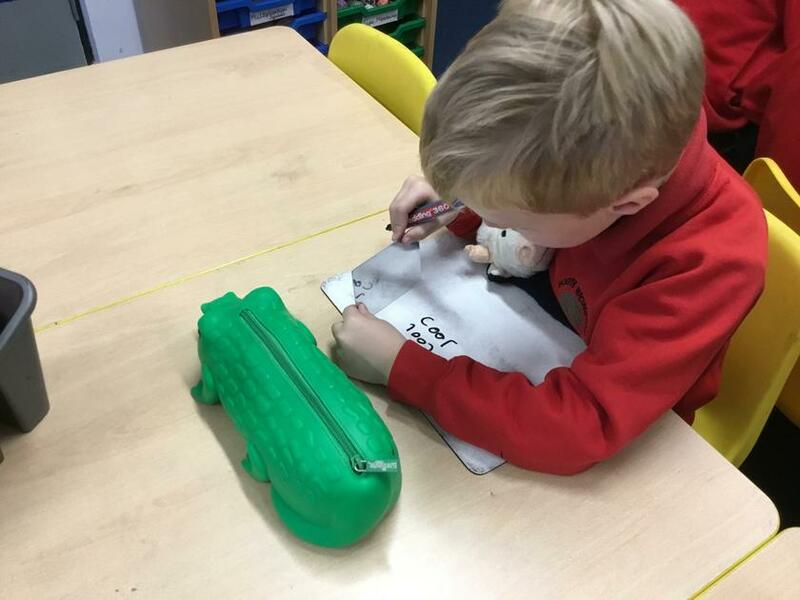 We used peer editing and our green editing pens to make sure our work was the best it could be! We also had a visit to the Anvil in Basingstoke to take part in the Hampshire Music Service Big Sing. This year, it was the story of the Wherwell Cockatrice. The children loved learning the songs and enjoyed performing them alongside many other schools. There was a live band, a choir, dancers and a narrator which made the whole experience great fun! On Monday 21st January, Dragonflies and Kingfishers went on a trip to the Forest School in Itchen Valley Country Park. We had a fantastic time exploring wildlife and learning about survival. 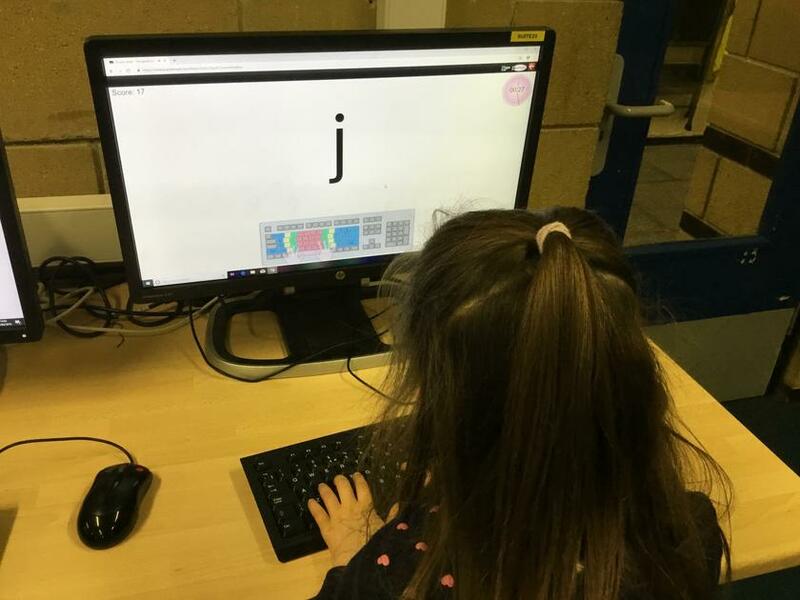 We took part in three different activities during the day. Our first activity was Camouflage games. 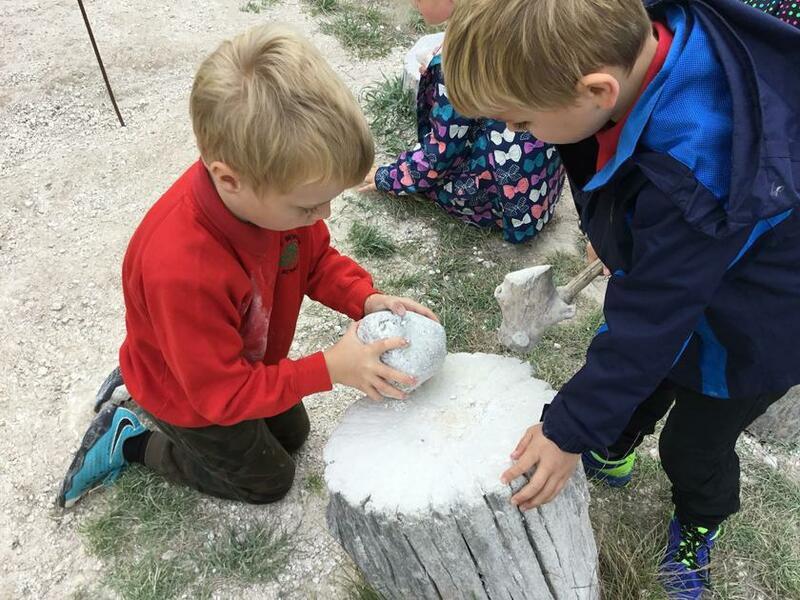 We had to find different bugs that had been hidden around the forest and we then discussed the reasons why some were easier to find than others. After that, we had a big game of hide and seek and we used camouflage cloaks and face paint to help keep ourselves hidden. 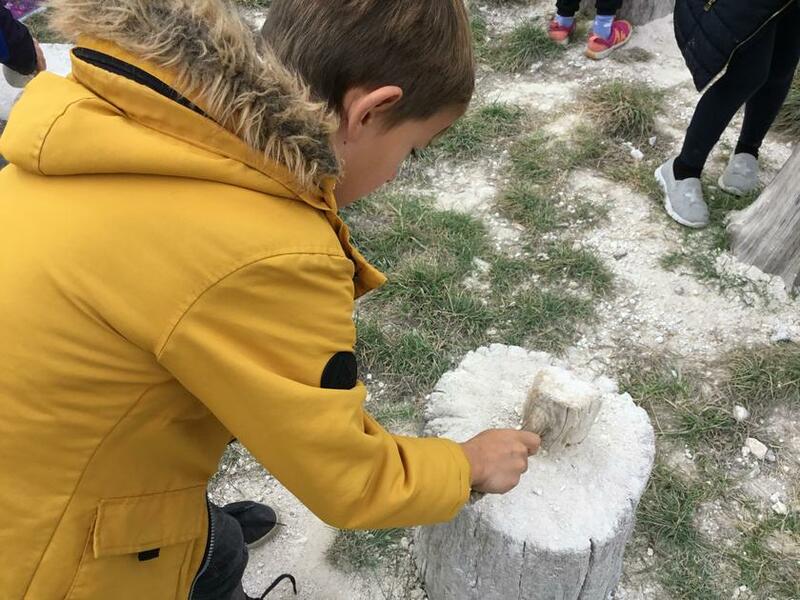 Our second activity was forest arts and crafts. 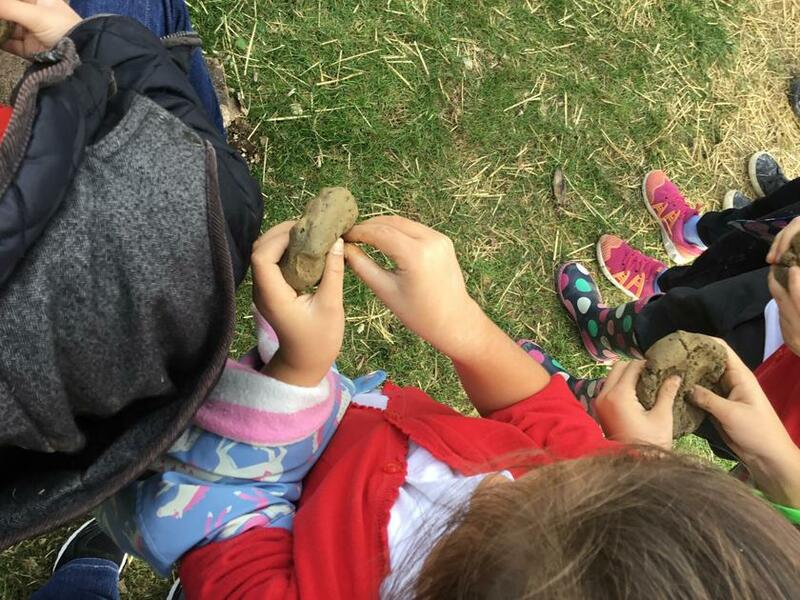 Some of us made forest creatures out of clay and other natural materials whilst others made God's eyes. Our final activity was building dens. We used both natural and man-made materials to build three different types of dens. We had a fantastic day and although it was freezing cold, we learnt a lot about the forest and how we can use it to help us survive! CLANK CLONK as the his mighty, metallic legs moved. The big, bold Iron Man came to the sharp, pointy cliff. Blazing out to sea, his bright eyes like headlamps. He has blazing eyes like headlamps, staring out to sea. CLANK CLONK his blazing, shiny, metal legs moved. His bold body so hard and bulky. The Iron Man carefully brings his massive metallic leg into space. The Iron Man continues to step towards the edge of the gigantic cliff. 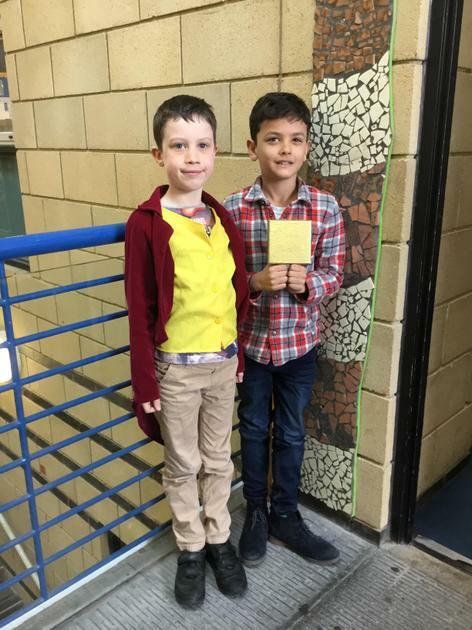 This week in science, we tested out mirrors. 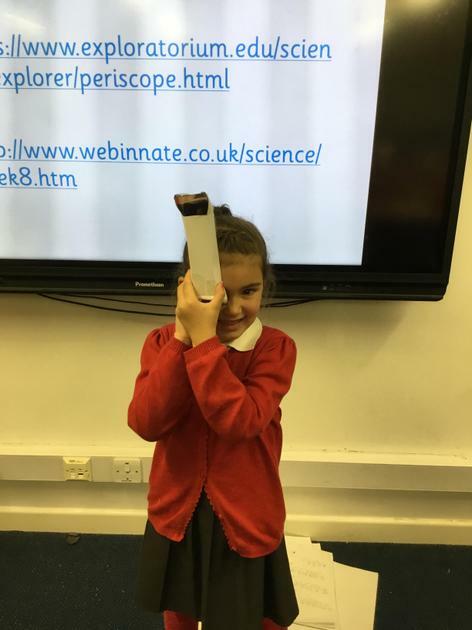 We used them to write secret messages to each other and we then created our own periscopes to use to help us spy around corners! 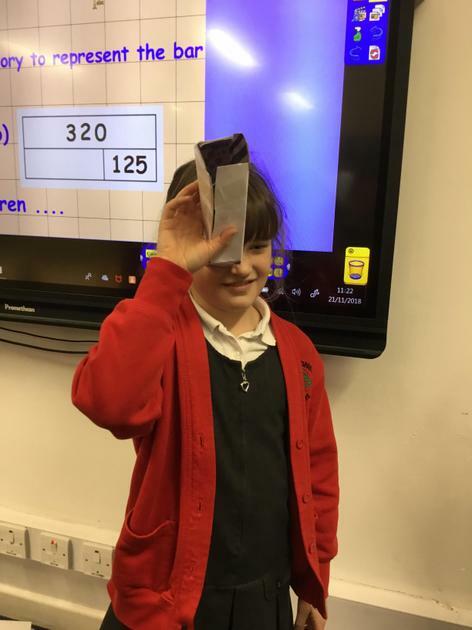 In science, we have been investigating which material is the best to make a reflective shield to be used in a new Harry Potter film. 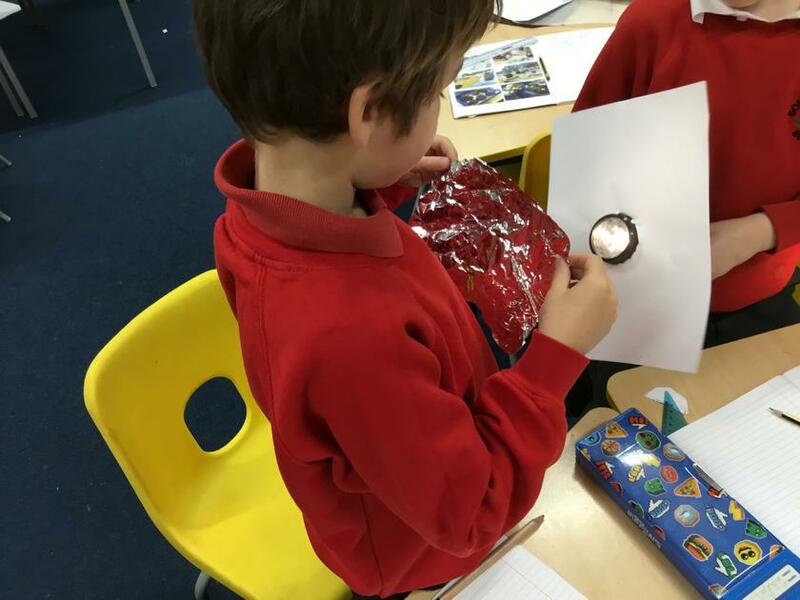 We tested five different materials (cling film, tin foil, mirrors, cloth and grease-proof paper) by shining a torch onto them and seeing if they reflected any light back onto the white paper. 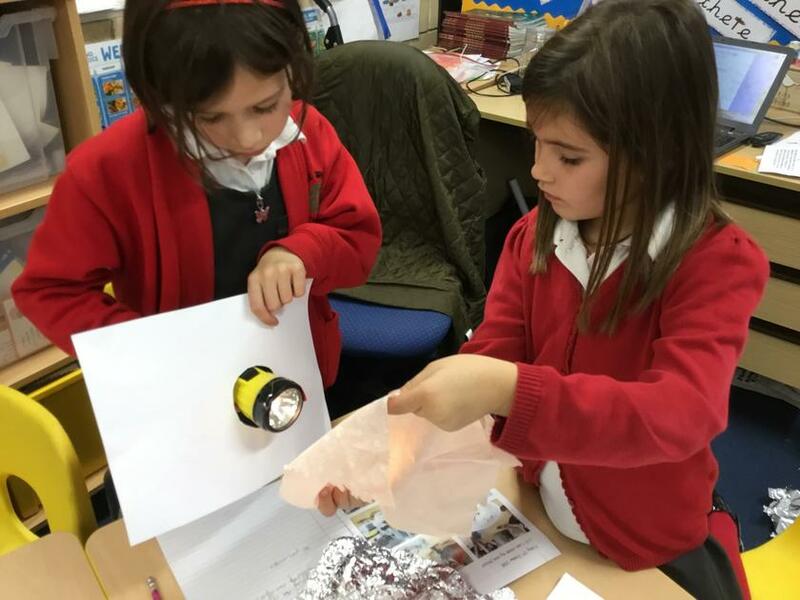 We discovered that mirrors and tin foil were the best materials to use to create a reflective shield. 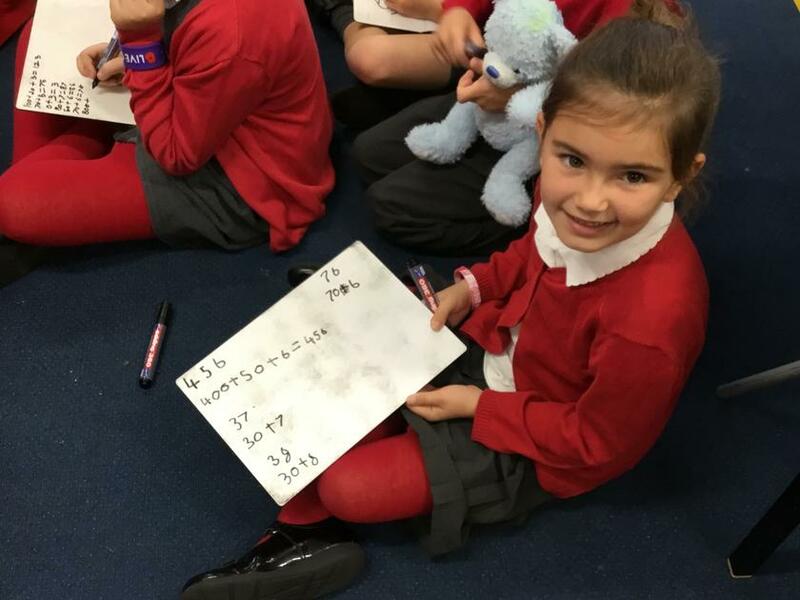 This week, in Maths, Dragonflies have been adding 3 digit, 2 digit and 1 digit numbers using the column method. We have been learning how to add each column and that if the answer equals 10 or larger, we need to carry the number over to the next column. 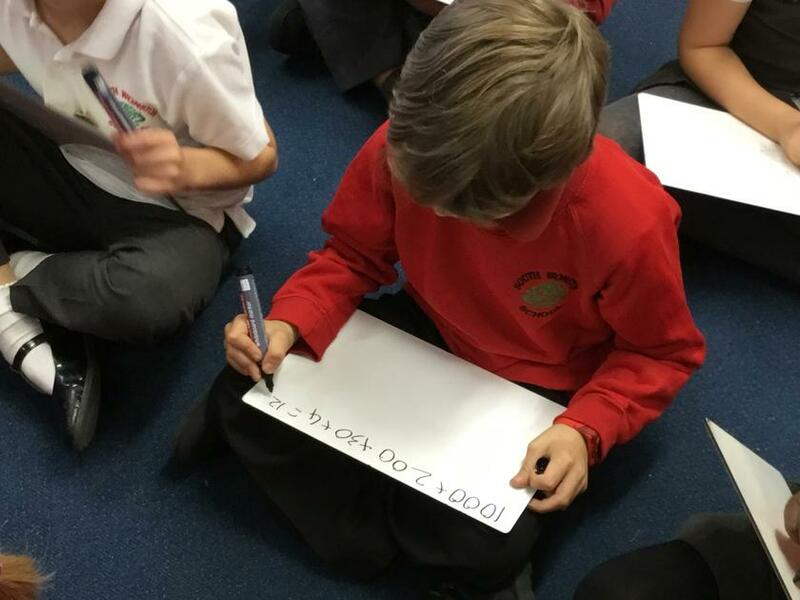 Today, we also revisited partitioning and were able to show how we partition numbers on a whiteboard. Welcome back after what I hope was a restful week off! 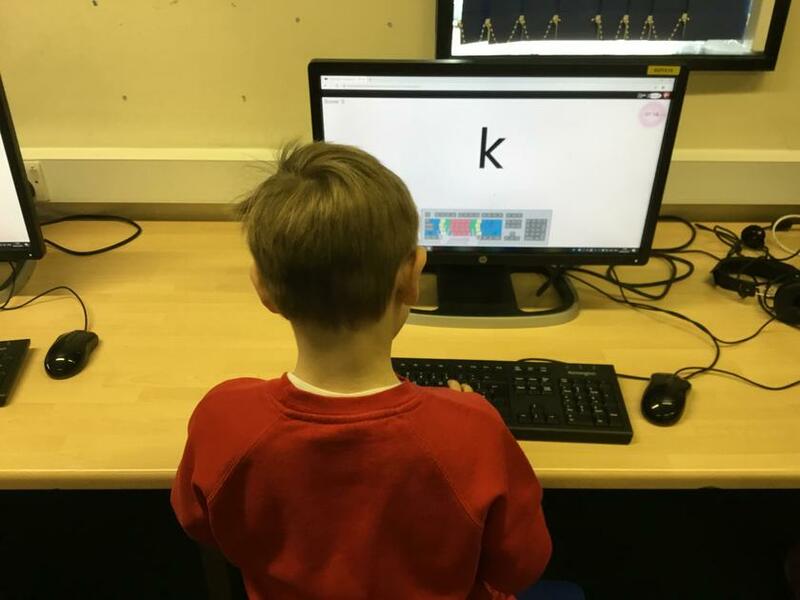 We have started our new topics this week. 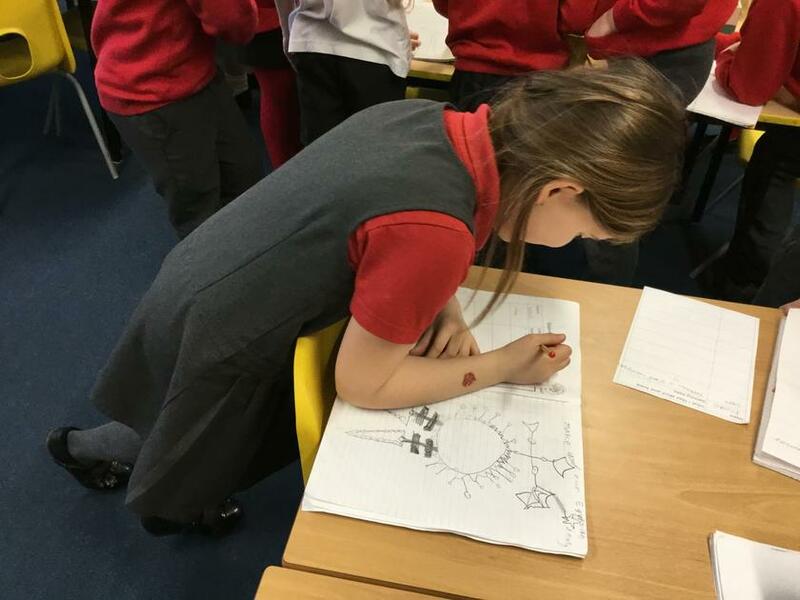 In English, we have started looking 'The Iron Man' by Ted Hughes. We have been writing our own similes and including them in descriptive sentences. 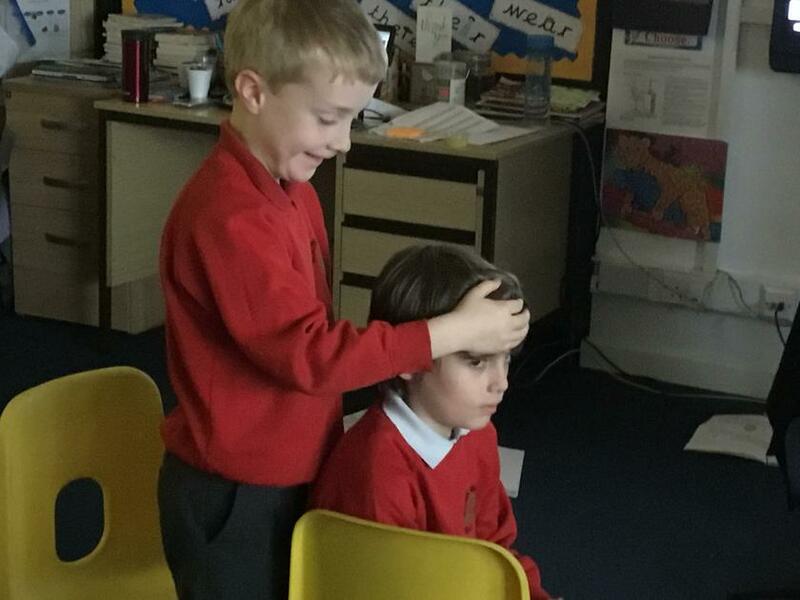 We have also started our new science topic of 'Light'. Our focus this week was to look at the difference between light and dark. 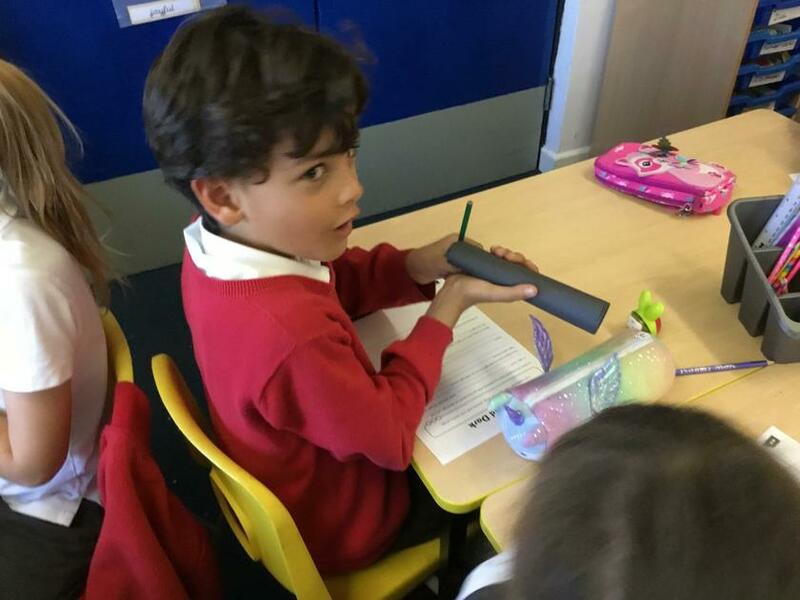 We carried out a small investigation using a rolled up piece of black paper. 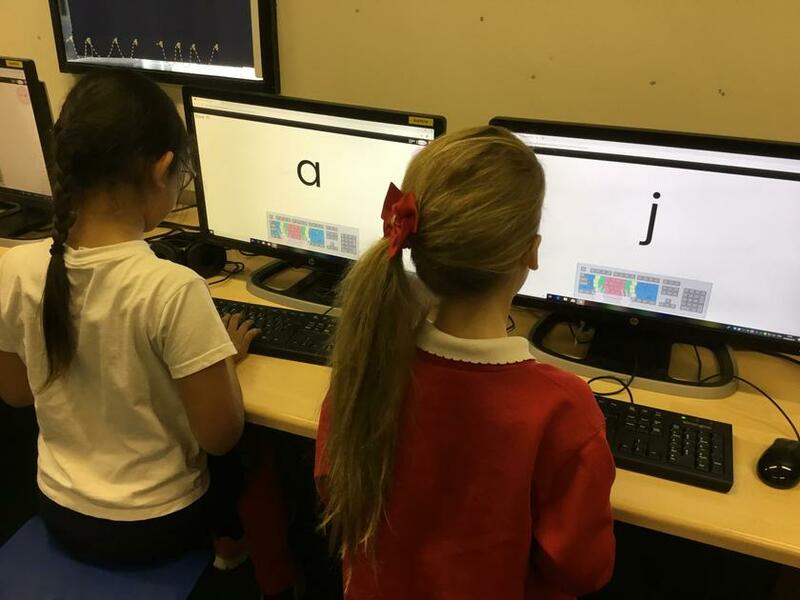 We had to look at a page of writing with it and found that we could see nothing. We then put two holes in the top and bottom and found that we could read it much better due to the presence of light. 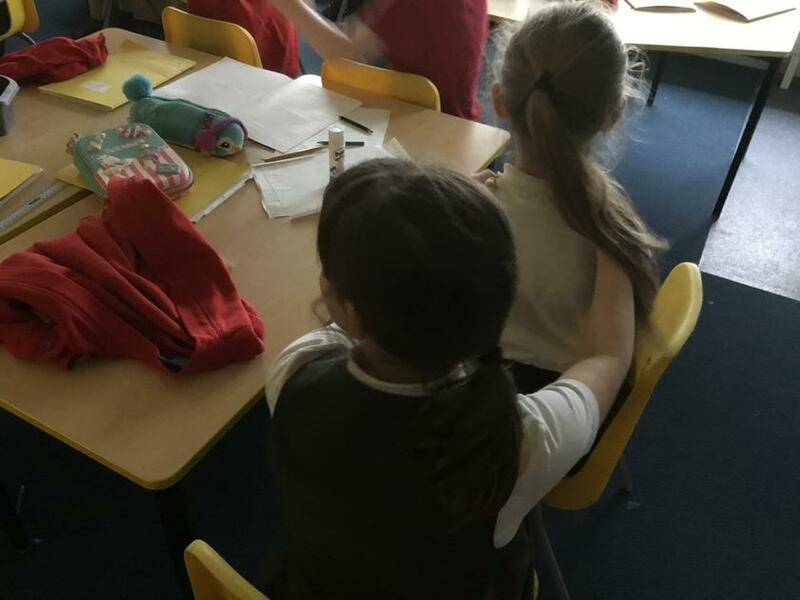 Take a look at our pictures to see the investigation in action! 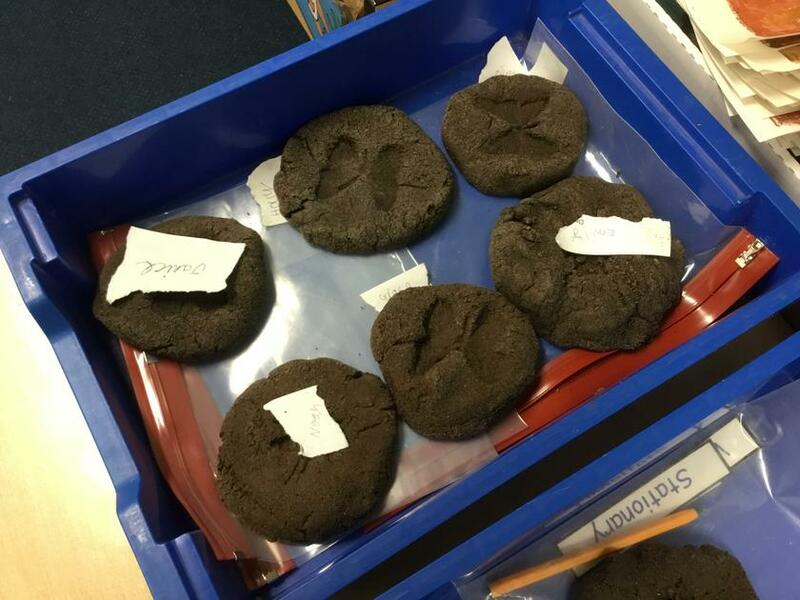 On Friday 12th October, Miss Ashton decided that she wanted to take our topic of rocks and fossils to the next level! 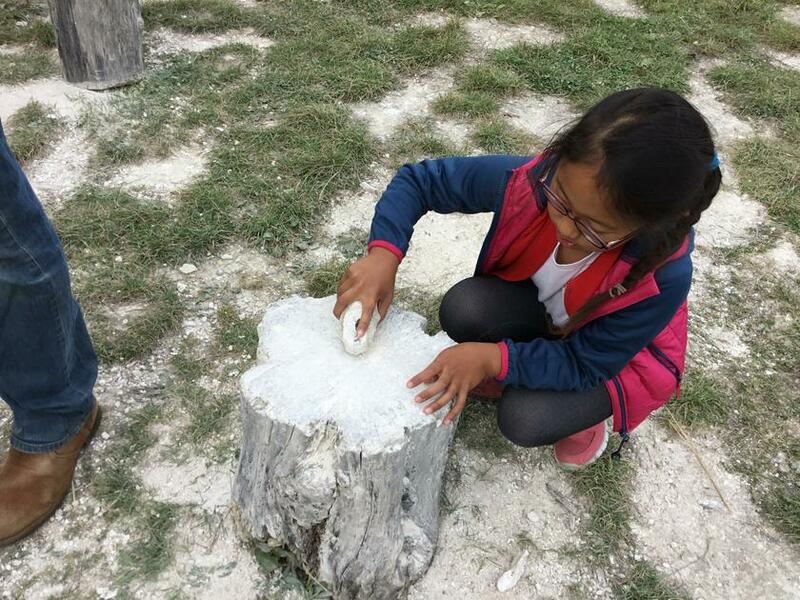 She decided that we should have a go at creating our own fossils! 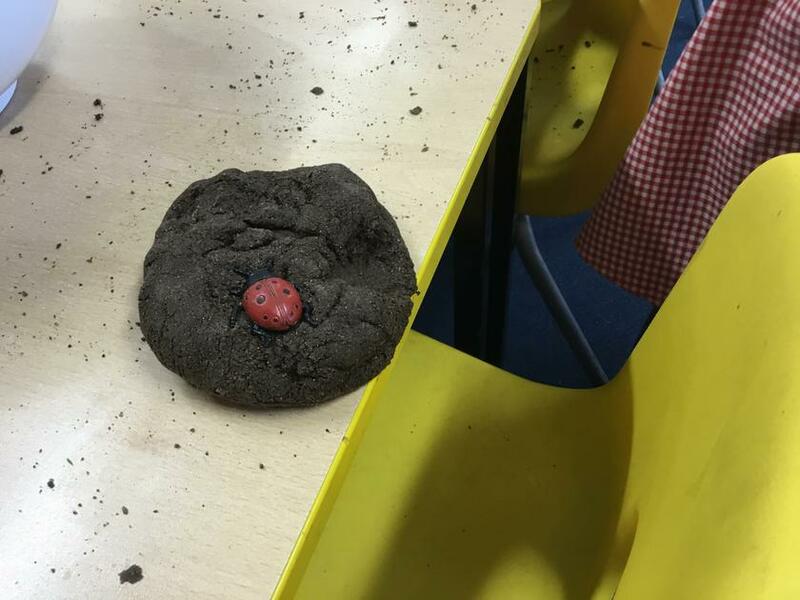 We used a mixture of ground coffee, flour, salt and water to create a dough that would be kneaded and shaped into a rock. 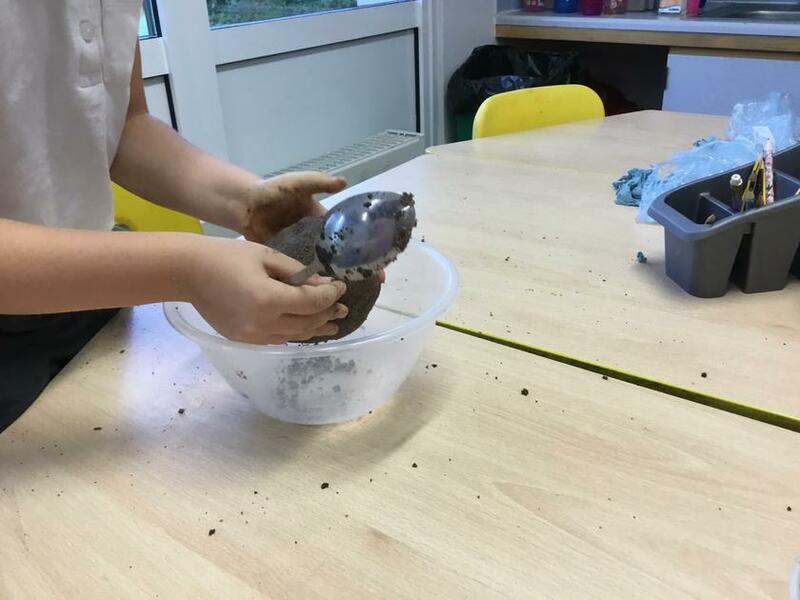 We then used a variety of different plastic creatures to press into the rock-shaped dough. 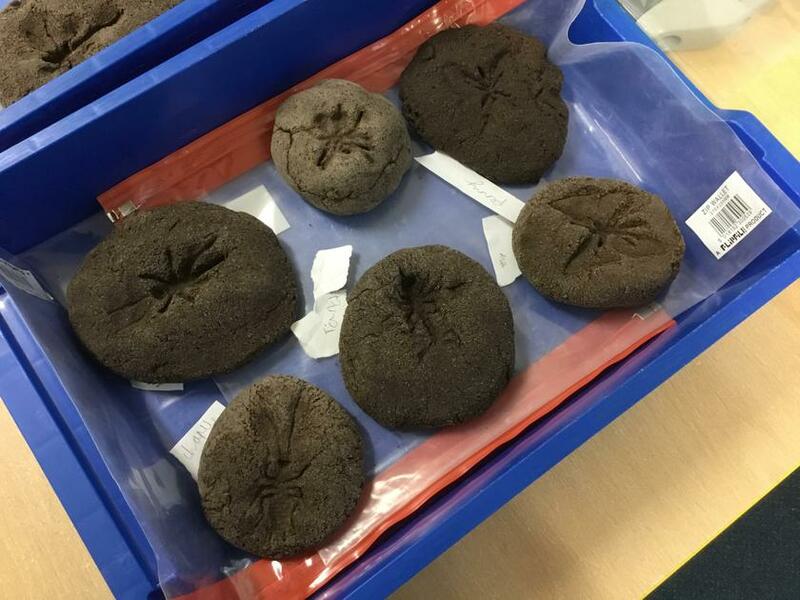 We left our fossils to dry and they turned out perfectly! 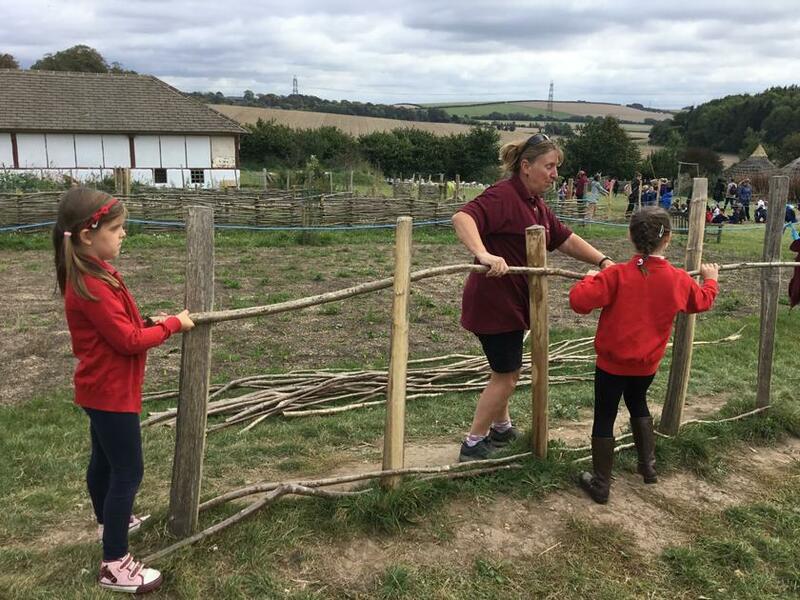 Our school trip to Butser Ancient Farm! On Tuesday 2nd October, we visited Butser Ancient Farm near Petersfield. 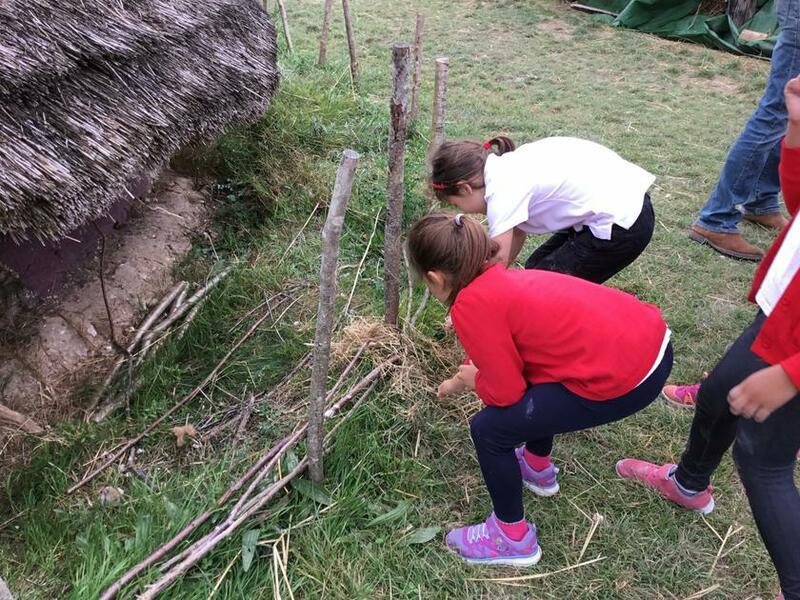 We have been learning all about the Stone Age to the Iron Age and so, being able to take part in activities and see replica houses from these ages was extremely interesting and good fun! 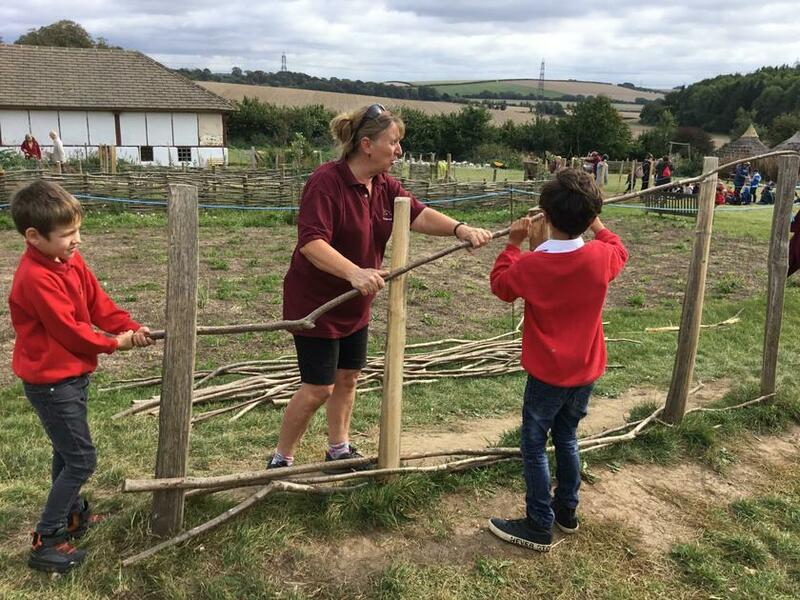 Our first activity was building a clunch wall. 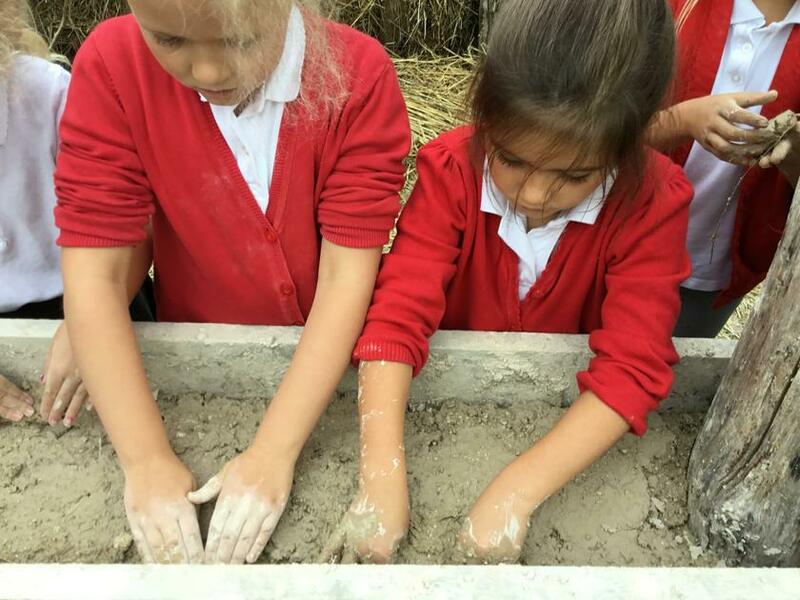 We used mud, chalk, straw and water to create our clunch mixture and then we used it to help build a wall. It was extremely messy but great fun! Our second activity was pottery. 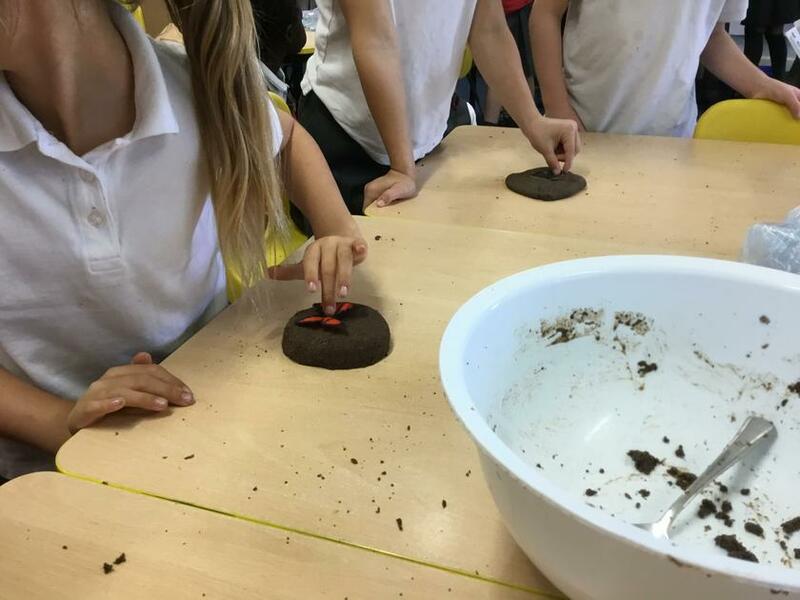 We used clay straight from the ground to create small pots which we shaped and decorated to make them more personal. 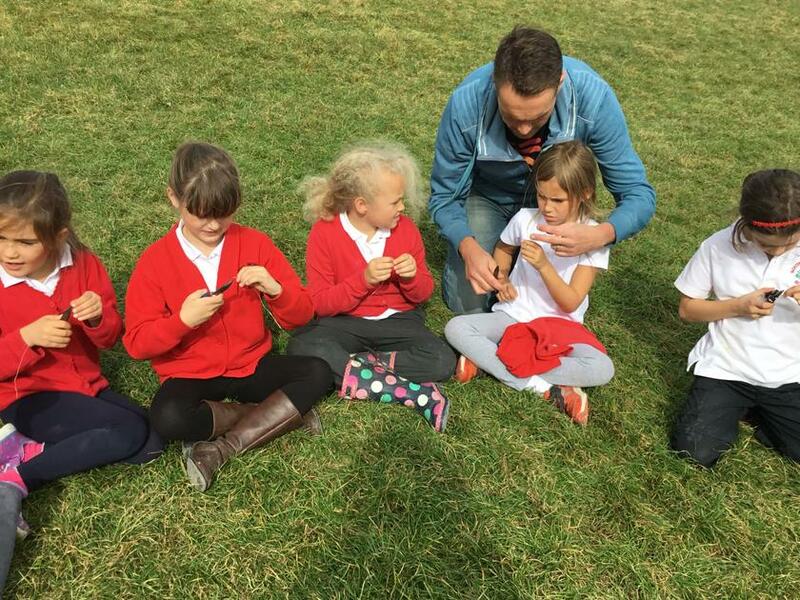 After lunch, we used copper wires to create our own Iron Age jewellery. 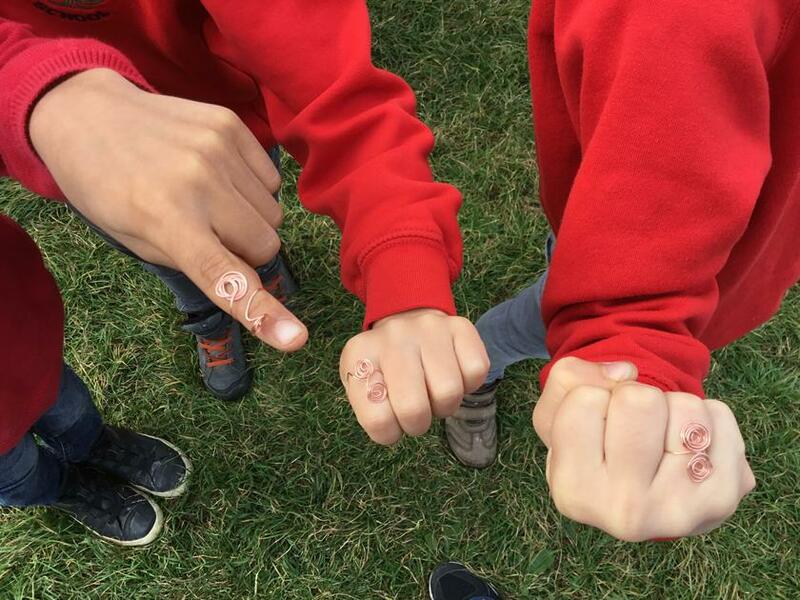 We created swirls using the copper and ended up with our own rings to wear! Lastly, we built our own wattle walls. 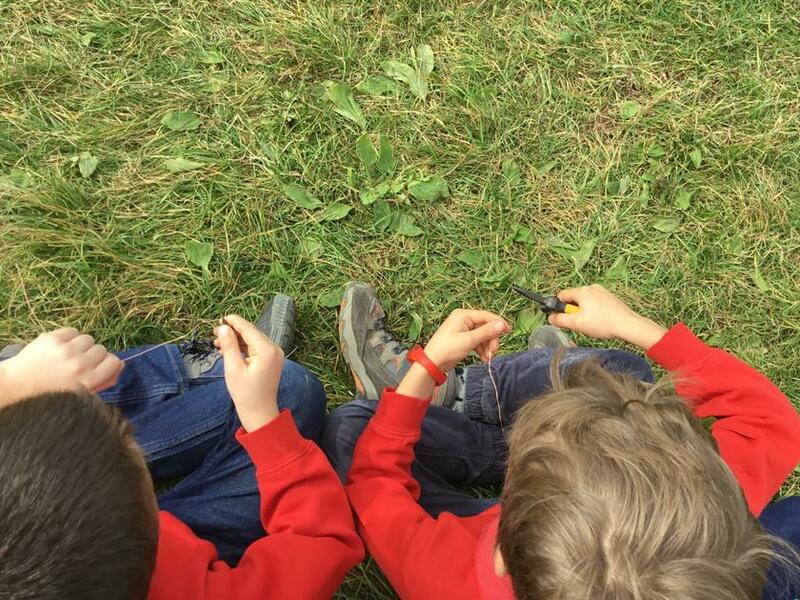 We did this in pairs as we needed to make sure that we were weaving and bending the branches properly and carefully. Overall, we had a fantastic day and learnt a lot of things. 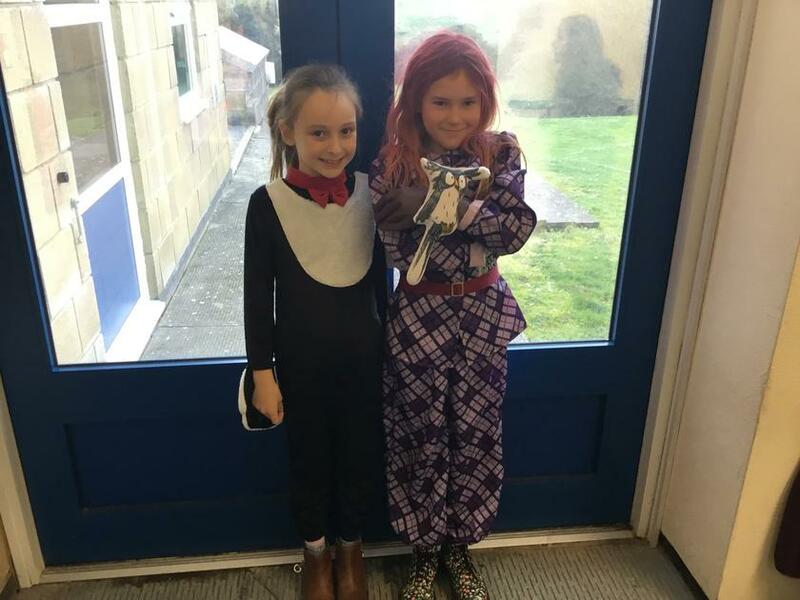 Many of the children asked me if they could go back the next day! We will now be writing our recounts of the trip in English to help us remember everything we learnt. 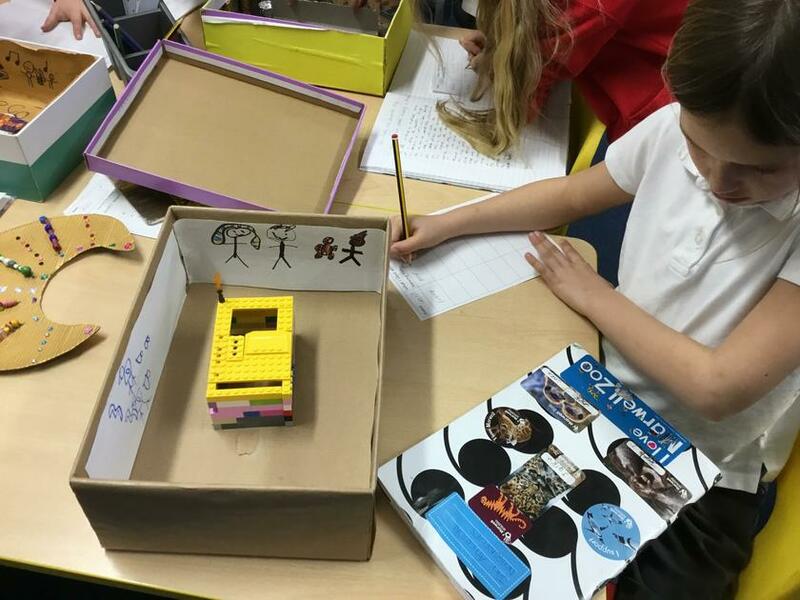 In English, Dragonflies have been working on writing a setting description of a scene from 'Stone Age Boy'. 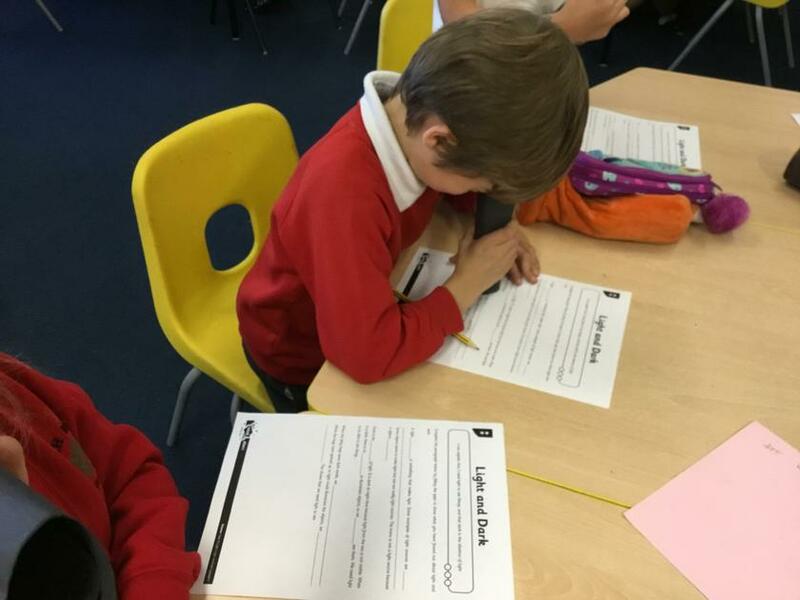 We have looked at using expanded noun phrases and our senses to create a vivid picture in the reader's minds. 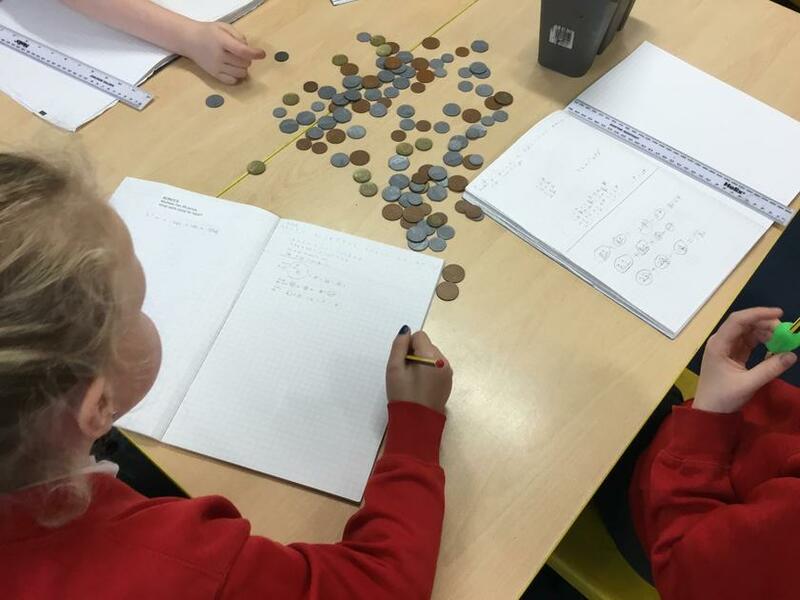 In Maths, we have continued to look at place value. 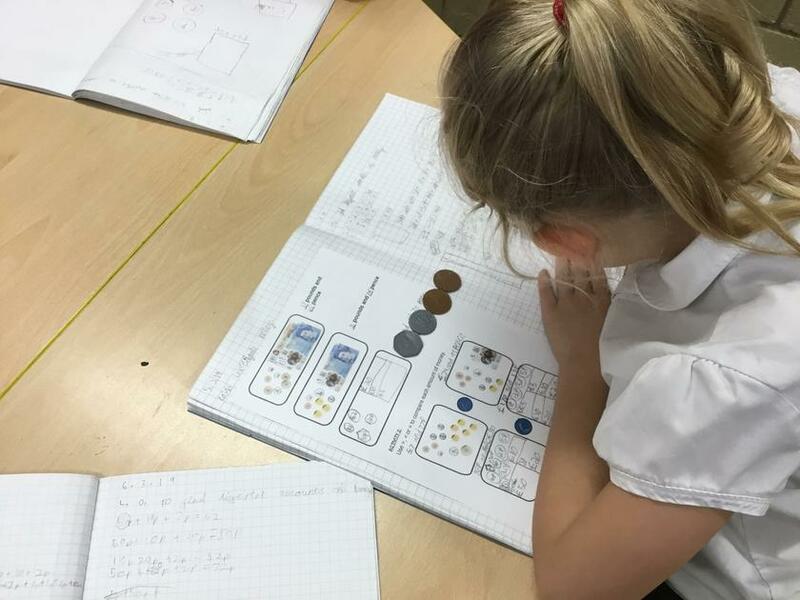 We have been focusing on different ways to represent numbers using concrete and abstract materials. 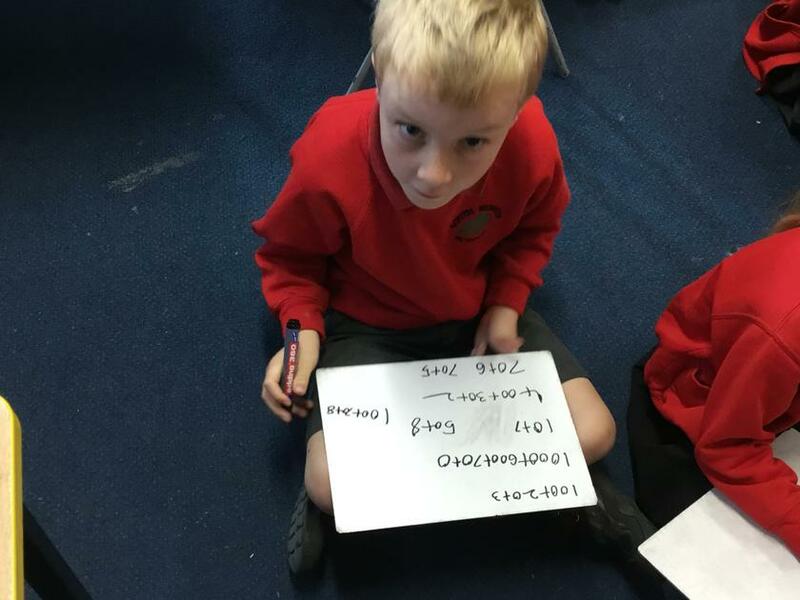 We have also been problem solving and reasoning. 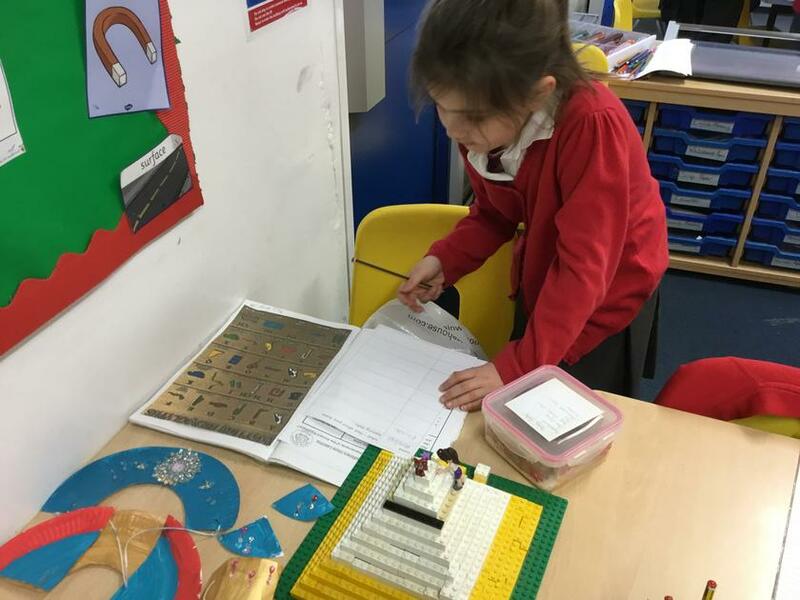 In Topic, we have been looking at different reasons why Stonehenge was built. We had to order the different theories about why Stonehenge was built from the most likely theory to the least likely. We all then wrote our own conclusions. We have been working on different balances in Gymnastics and we are building up to performing a sequence. 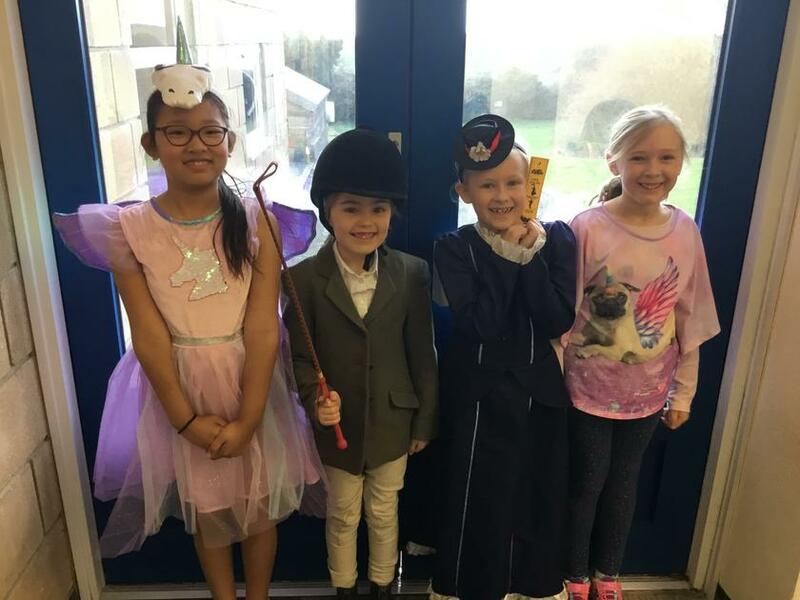 Dragonflies have had an exciting start to the new term. 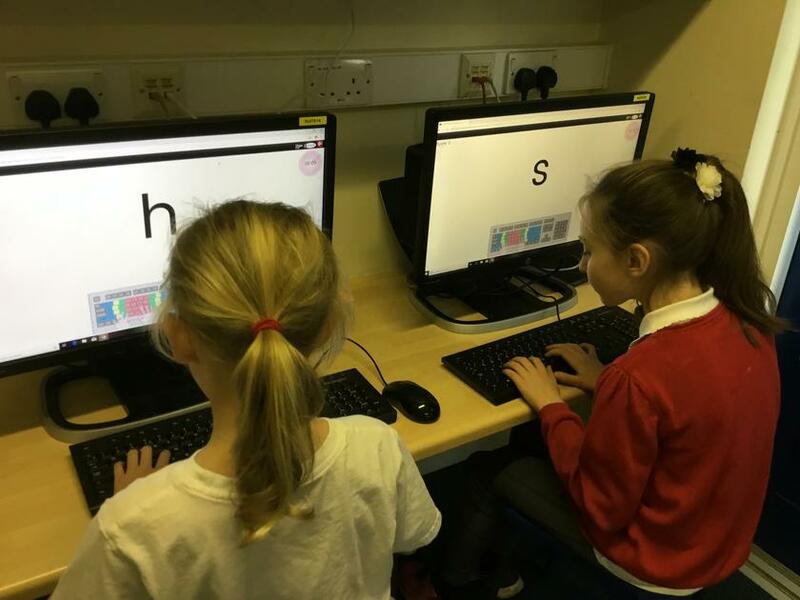 We have introduced our new topics and have begun working really hard across all subjects. In English, we have started looking at the book 'Stone Age Boy'. It is about a young boy who travels back in time to the Stone Age and discovers lots of amazing things that he has never seen before. 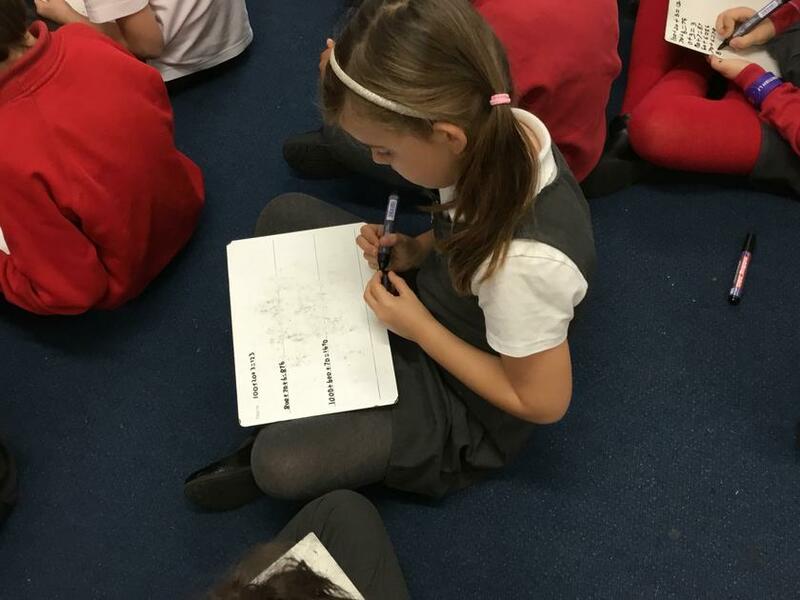 We have made predictions about the book and we have created story maps to help us remember the sequence of events which take place within the story. 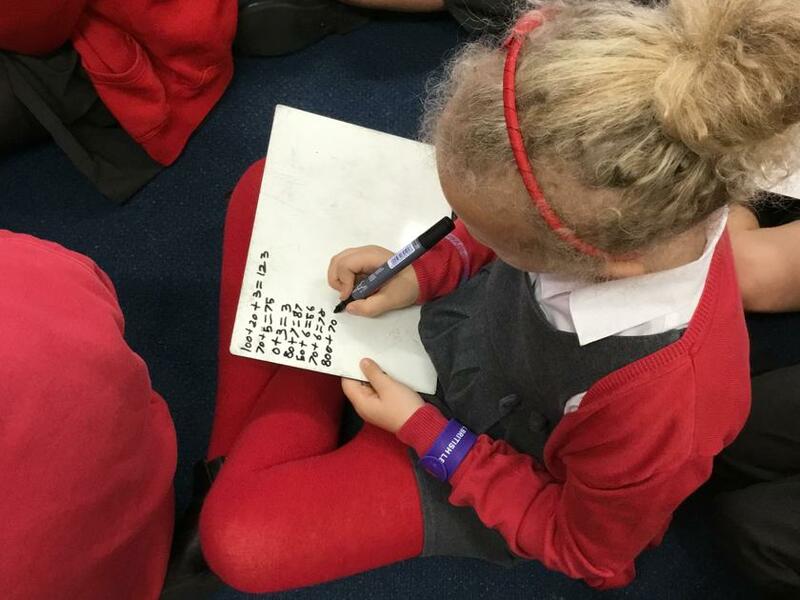 In maths, we have been looking at finding different ways to make 20, completing number sequences and finding patterns and we have been partitioning numbers. 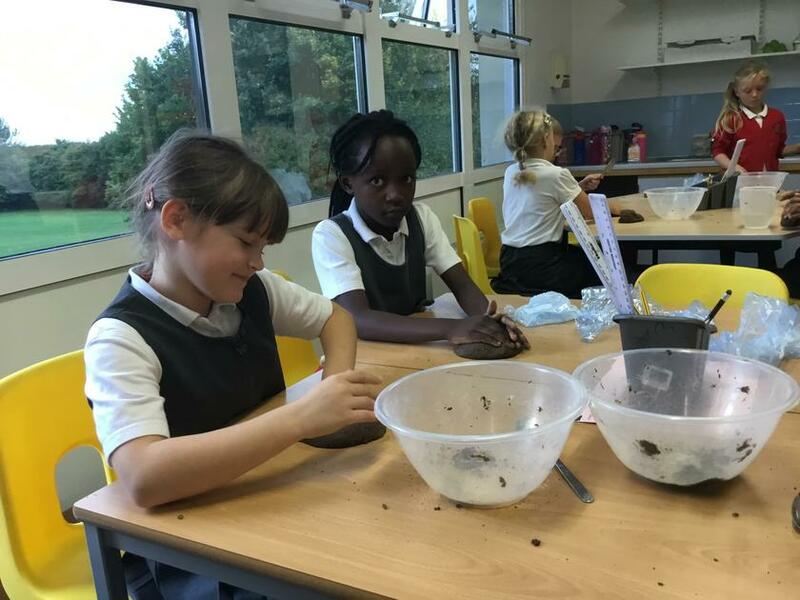 Within our topic of the Stone Age, we have looked at whether or not it is true that Stone Age man was just a simple hunter-gatherer only interested in food and shelter. 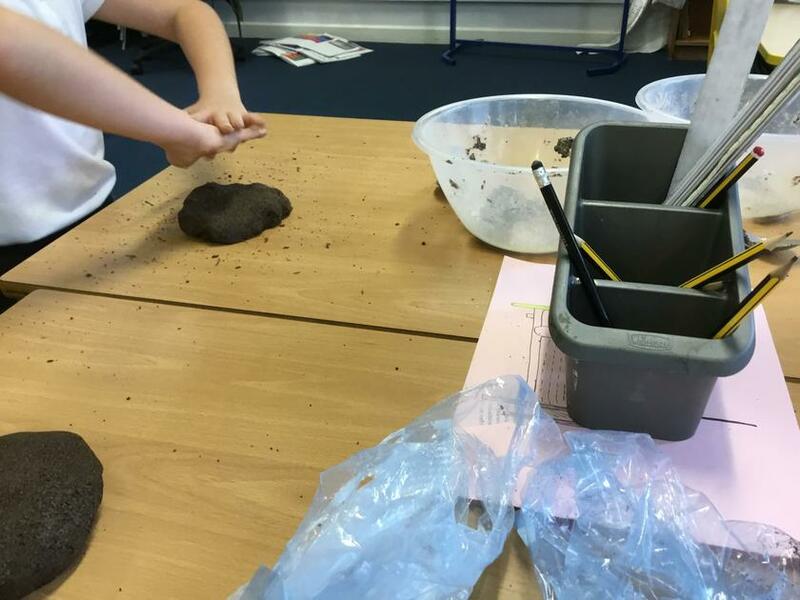 We have also explored how life changed when Stone Age men started farming. 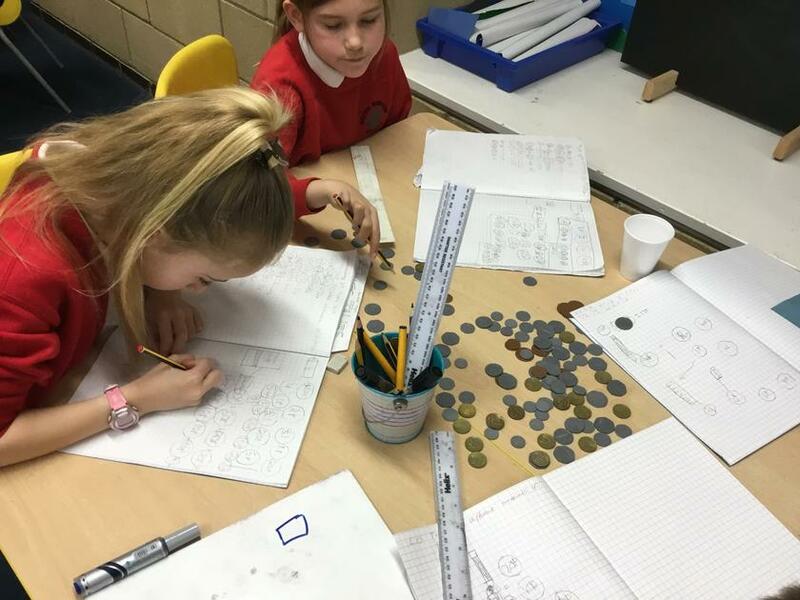 In science, we have been looking at different types of rock and how we can classify them according to their properties.